YAKIMA, Wash. — Never, it’s long been said, can a baseball team have enough pitching. Or the only thing better than having one ace pitcher is having two ace pitchers. And while no local prep team is completely saturated with moundsmanship, at least seven of them are armed with at least one pitcher who in most regards would qualify as an ace. Dexter, who helped the Yakima Valley team coached by Archer to a state American Legion state championship last summer, has signed with Yakima Valley Community College. Last year with Selah he was 10-2 with a 1.31 ERA, 67 strikeouts in 75 innings and nine complete games in 13 starts. He clearly is one of the best pitchers in the area. So are East Valley’s Riley Benedetti, Ellensburg’s Garrett Hull, Prosser’s Wyatt Wentz, Naches Valley’s Chase Wells, Cle Elum’s Ross Taklo and Riverside Christian’s Jacob Haas. Others of quality might well emerge during the course of the season, or in the case of Davis’ Elias Moctezuma, might re-emerge. Others still might be as good or better than those mentioned, but thus far are not as well known. Moctezuma, meanwhile, was a freshman phenomenon in 2012, throwing so impressively that he made the all-CBBN team as a first-team relief pitcher even though he was the Pirates’ top starter. The right-hander incurred shoulder problems, however, had surgery two years ago, according to Davis coach Brian Richardson, and is continuing to work his way back to his previous level of effectiveness. “Last year his arm wasn’t quite there,” Richardson said. Hull and Wells, both left-handers, were prominent members of state title teams last spring. Hull pitched in Ellensburg’s 6-3 Class 2A semifinal victory over Anacortes and Wells, while only a sophomore, worked Naches Valley’s 7-1 Class 1A championship triumph over Woodland. The 6-4 Benedetti, meanwhile, has already signed with Washington State. He was 7-3 with a 2.44 ERA as a sophomore before being slowed last year by tendonitis. Still, Benedetti was 3-2 with a 1.96 ERA and 40 strikeouts in 35 innings. As, no doubt, are others such as Wentz, a 6-6 righty who’s headed for Columbia Basin College, and Haas is a southpaw who’s headed to Walla Walla Community College. And if Taklo hasn’t yet been discovered by colleges in the region, he might be soon. SELAH has an impressive mix of pitching and experience and looks to be its typical formidable self. ELLENSBURG, though it lost many components of its Class 2A state championship squad, also has some talented veterans, EAST VALLEY appears solid and teams such as PROSSER, EPHRATA and OTHELLO could surprise. Newcomer QUINCY is an unknown quantity. At Yakima, Wash., the Red Devils dropped their non-league season opener when Sean Klapperich hit a two-out, two-run single to tie the score at 6-6 and Dylan Sutherland followed with a bloop RBI double to win it. Ben Albright, Chase Oldham, and Riley Benedetti had two hits apiece for EV, which hosts Eisenhower on Tuesday. Harris, Buchanan (4), Hill (7) and Johnson; Benedetti, Ribail (4), Juarez (7) and Hagler. Lucas Juarez and Tyler Gutierrez combined on a no-hitter with 11 strikeouts Tuesday to lead East Valley to an 11-0 victory over Eisenhower in a non-league baseball game on the Red Devils’ diamond. Casey Oldham went 1 for 2 with 3 RBI while Chase Oldham, Ty Hoffert and Riley Benedetti each had one hit and drove in a run for the Red Devils (1-1). EV opens CWAC play on Saturday at home against Wapato. Ike plays Post Falls on Saturday at Davis High. Henley, Delores (4) and Stewart; Juarez, Gutierrez (4) and Hagler, Ch. Oldham (5). Highlights: Lucas Juarez (EV) and Tyler Gutierrez (EV) 11 K; Casey Oldham (EV) 1-2, 3 RBI; Chase Oldham (EV) 1-2, RBI; Ty Hoffert (EV) 1-2, RBI; Riley Benedetti (EV) 1-2, RBI. EAST VALLEY 22-28, WAPATO 1-0: At East Valley, Ty Hoffert drove in seven runs for the day and Lucas Juarez was 4 for 4 with four RBI in the second game and pitched three shutout innings for the Red Devils. East Valley (2-0, 3-1) plays at Grandview on Tuesday. Benscoter, Chavez (2) and Gonzalez; Benedetti, Ribail (4) and Hagler. Highlights: Riley Benedetti (EV) 3 IP, 9 K, 2-3, 2 RBI; Ben Albrecht (EV) 4-5, 2b, 3 RBI; Loren Davido (EV) 2-2, 2 RBI; Chase Oldham (EV) 2-4, RBI; Ty Hoffert (EV) 2b, 3 RBI. De Leon, Diaz (2), Acevedo (4) and Gonzalez; Juarez, Gutierrez (4) and Oldham. Highlights: Lucas Juarez (EV) 3 IP, 6 K, 4-4, 2 2b, 3b, 4 RBI; Davido (EV) 3-5, RBI; Chase Oldham (EV) 3-4, 2b, 3 RBI; Casey Oldham (EV) 2-3, RBI; Hoffert (EV) 4-4, 2 2b, 4 RBI. EAST VALLEY 15, GRANDVIEW 1: At Grandview, Tyler Gutierrez and Casey Oldham combined to pitch four hitless innings while striking out seven and walking none to lead the Red Devils. Ben Albrecht went 2 for 4 with three runs scored and a RBI and Loren Davido went 2 for 4 with three RBI for East Valley. Maurice Prieto drove in the lone run for Grandview while Case Graf had the teams only hit. Gutierrez, Casey Oldham (4) and Hagler; Oros, Enriquez (4) and Ramirez. Highlights: Ben Albrecht (EV) 2-4, 3 runs, RBI; Loren Davido (EV) 2-4, 3 RBI; Tyler Gutierrez (EV) 7 Ks; Jorge Oros (G) 4 K; Case Graf (G) hit; Maurice Prieto (G) RBI. EAST VALLEY 2-4, OTHELLO 1-3: At East Valley, Riley Benedetti had a hand in both winning runs and he also struck out 11 in the opener as East Valley won a pair of extra-inning games. In the opener, Benedetti scored on Ty Hoffert’s single in the bottom of the eighth for the winning run. In the second game, Benedetti’s single scored Ben Albrecht with the winning run in the ninth inning. In that second game, Loren Davido hit a two-run single in the bottom of the seventh to force extra innings for the Red Devils (5-0, 6-1), who are off until a key CWAC showdown next Saturday with Selah, which also improved to 5-0 in league with a sweep of Prosser on Saturday. Montemayor and Carreno; Benedetti, Ribail (8) and Hagler. Highlights: Villarreal (O) 2-3; Munoz (O) 2-4; Chase Oldham (EV) 2-3; Riley Benedetti (EV) 11 Ks. Munoz, Garcia (6), Fuentes (8) and Carreno; Juarez, Ribail (8), Gutierrez (9) and Hagler. Highlights: Ruiz (O) 2-4; Garza (O) 2-4; Ben Albrecht (EV) 2-5; Lucas Juarez (EV) 2-4; Benedetti (EV) 3-5, RBI; Loren Davido (EV) two-run 1b in 7th. SELAH, Wash. -- It boiled down to a duel and a dash Saturday night at Carlon park. In an early season showdown for CWAC baseball supremacy, East Valley’s Riley Benedetti won a duel of aces in the opener and Selah’s Dac Archer stole home in the bottom of the seventh inning of the nightcap for a split between the two rivals. Benedetti threw a three-hitter with three walks and seven strikeouts as the Red Devils prevailed in the opener 6-4 after building a five-run lead. Selah’s Kyle Dexter fanned 10 and walked three in his complete-game effort. Lucas Juarez had RBI singles for EV in the first and fourth innings. In the second game, Clark Streby drove in a run in the first inning and pitched three innings of relief to close out the 5-4 victory. Archer stole home with two outs and the bases loaded. Blake Reeves was 2 for 3 with an RBI for the Vikings. Selah moved to 7-1 in league, sharing the lead with Ellensburg, and 9-1 overall heading into next Saturday’s doubleheader with Wapato. East Valley (6-1, 7-2) will host Grandview on Tuesday. Benedetti and Hagler; Dexter and Petrea. Highlights: Riley Benedetti (EV) CG, 3 BB, 7 K; Kyle Dexter (S) CG, 3 BB, 10 K; Lucas Juarez (EV) 2-4, 2 RBI; Casey Oldham (EV) 1-4, RBI. Juarez, Ribail (7) and Hagler; Davis, Streby (5) and Petrea. Highlights: Dac Archer (S) 1-3, run, RBI; Blake Reeves (S) 2-3, RBI; Clark Streby (S) 3 IP, 2 K, RBI. YAKIMA, Wash. — Junior Brock Ribail and freshman Shane Maybee combined for a five-inning no-hitter as East Valley earned a 10-0 victory over Grandview in CWAC baseball on Tuesday. Loren Davido scored twice and drove in four runs for the eighth-ranked Red Devils, who broke the game open with eight runs in the fourth inning. East Valley improved to 7-1 in league and 8-2 overall and will play Ephrata on Saturday while Grandview hosts Prosser. In other CWAC play on Tuesday, Othello defeated Toppenish 21-3. Madera, Gonzalez (4) and Ramirez; Ribail, Maybee (5) and N. Hagler, M. Hagler (5). Highlights: Loren Davido (EV) 2-4, 2 runs, 4 RBI; Ben Albrecht (EV) 2-4, RBI. 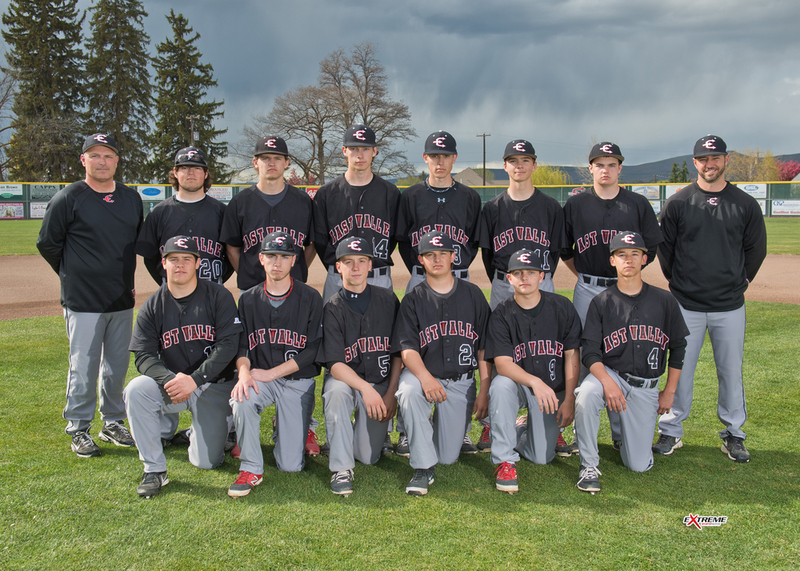 EPHRATA 3-5, EAST VALLEY 2-6: At Yakima, Wash., Riley Benedetti scored on an error in the bottom of the seventh inning of the second game to help the eighth-ranked Red Devils (8-2 CWAC, 9-3 overall) salvage a split with the Tigers, who won the opener in the top of the seventh. Benedetti had singled and stole second base to get into scoring position. EV’s Chase Oldham had three hits and knocked in three runs in the twin bill. Schmidt and DeHoog; Benedetti, Ribail (7) and Hagler. Highlights: Chase Oldham (EV) 2-3; Nektarios Hagler (EV) 2-3; Ben Albrecht (EV) 2b, RBI; D’Andre Garcia-Stubbs (EV) 3b, Riley Benedetti (EV) 7 Ks. Moss, Smith (5) and DeHoog; Juarez, Ribail (7) and Hagler. EAST VALLEY 14-19, TOPPENISH 2-1: At Toppenish, sophomore Tyler Gutierrez drove in six runs for the day as the Red Devils improved to 10-2 in league and 11-3 for the season. Riley Benedetti struck out all six batters he faced in the opener and scored four runs in the second game for EV, which hosts Ellensburg on Tuesday for a single game. Benedetti, Gutierrez (3), Ribail (6) and Hagler; No. 10, Blain (6) and Smiskin. Highlights: Tyler Gutierrez (EV) 3-4, run, 4 RBI; Ben Albrecht (EV) 3-5, run, 2 RBI; Ty Hoffert (EV) 2-4, 2b, 3b, 3 runs, 2 RBI; Casey Oldham (EV) 1-3, 2b, 2 runs, 2 RBI; Loren Davido (EV) 2-3, 2b, 2 sb, 2 runs, RBI; Riley Benedetti (EV) 2 IP, 6 K, 1-4, 2 runs, RBI; Nektarios Hagler (EV) 1-2, 2 runs, 2 RBI; S. Godina (T) 2-3, run. Juarez, Oldham (4) and Hagler; Flores, Godina (4) and Smiskin. Highlights: Ben Albrecht (EV) 2-3, 3 runs, 3 RBI; Brock Ribail (EV) 1-1, run, 3 RBI; Evan Fischer (EV) 1-2, 3 runs, RBI; Riley Benedetti (EV) 1-1, 3b, 4 runs, RBI; D’Andre Garcia-Stubbs (EV) run, 2 RBI; Lucas Juarez (EV) 3 IP, 4 K, 1-4, 2 runs, RBI; Tyler Gutierrez (EV) 1-3, run, 2 RBI; Nektarios Hagler (EV) 2 runs, 2 RBI. YAKIMA, Wash. — East Valley freshman Chase Oldham belted a two-run homer in the first inning and Riley Benedetti and Brock Ribail combined to pitch a five-hitter Tuesday as the Red Devils downed Ellensburg 4-1 in CWAC baseball action at East Valley. Oldham was 3 for 3 as was teammate Ben Albrecht. Benedetti pitched the first five innings, striking out four and allowing one unearned run. The win moved East Valley into a second-place tie in at 11-2 along with the defending state champion Bulldogs. Selah leads at 12-1. East Valley travels to Quincy on Saturday while the Bulldogs host top-ranked Selah. Hull, Van Epps (4) and Bibiano; Benedetti, Ribail (6) and Hagler. Highlights: Bryce Helgeson (El) 1-3, RBI; Ben Albrecht (EV) 3-3, Chase Oldham (EV) 3-3, HR, 2 RBI; Tyler Gutierrez (EV) 1-3, RBI; Evan Fischer (EV) 1-2, RBI. Riley Benedetti (EV) 5 IP, 4 Ks. 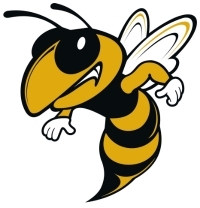 QUINCY, Wash. — Chase Oldham and Nik Hagler drove in three runs each to spark East Valley to a 13-2 victory over Quincy in the second game of a CWAC baseball doubleheader on Saturday. After dropping the opener 3-2, the Red Devils were even with Quincy at 1-1 through three innings of the second game before breaking out for nine runs in the fourth frame. Riley Benedetti was 3 for 4 with a triple and two RBI in the win and pitched a four-hitter with five strikeouts in the opener. East Valley (12-3, 13-4) will play at Ellensburg on Tuesday. Benedetti and Hagler; Tobin and Villarreal. Highlights: Lucas Juarez (EV) RBI; Chase Oldham (EV) RBI; Riley Benedetti (EV) CG, 5 K; Villarreal (Q) 2b, RBI. Juarez, Ribail (5) and Hagler; Murphy, Kehl (4), Deleeuw (5) and Villarreal. Highlights: Riley Benedetti (EV) 3-4, 3b, 2 RBI; Chase Oldham (EV) 2-3, 3 RBI; Nik Hagler (EV) 2-3, 2b, 3 RBI; Evan Fischer (EV) 2-4; D’Andre Garcia-Stubbs (EV) 2-3. ELLENSBURG 5, EAST VALLEY 0: At Ellensburg, Xander Orejudos pitched a shutout and Bryce Helgeson drove in three runs to help the Bulldogs pull into a second-place tie with East Valley heading into the final league games on Saturday. Orejudos struck out nine and walked none, and Helgeson’s two-run single was part of a three-run fifth inning for Ellensburg, which again played without ailing Garrett Hull. Both teams are 12-4 in league and 13-5 overall with Ellensburg traveling to Othello and East Valley hosting Prosser for doubleheaders on Saturday. Juarez, Ribail (5) and Hagler; Orejudos and Bibiano. Highlights: Xander Orejudos (Ell) CG, 5-hitter, 0 BB, 9 K, 1-3, sb, 2b; Bryce Helgeson (Ell) 2-3, 3 RBI; Alonso Bibiano (Ell) 1-3, 2 runs, sb; Bobby Ward (Ell) 2b, RBI; Nate Andaya (Ell) 1-2, run. EAST VALLEY 10-10, PROSSER 0-7: At East Valley, Riley Benedetti threw a one-hitter with 10 strikeouts in the opener and Chase Oldham hit a grand slam in the second game as the Red Devils clinched the No. 2 seed in the district tournament. Ben Albrecht, Evan Fischer and Oldham had three hits each in EV’s 16-hit second game. The Red Devils (14-4, 15-5) will host a district semifinal on Saturday. Prosser, which got a two-run homer from Alex Scarver, finished 9-9 in league and one spot out of district. Scarver, Romero (2), Veiga (4) and Taylor; Benedetti and Hagler. Highlights: Riley Benedetti (EV) 1-hitter, 2 BB, 10 K, 2-3, 2b, 2 RBI; D’Andre Garcia-Stubbs (EV) 2-2, RBI. Wentz, Vanguardia (6) and Taylor; Juarez, Ribail (6) and Hagler. Highlights: Alex Scarver (P) 2-4, HR, 2 RBI; Riley Lusk (P) 2-4; Ben Albrecht (EV) 3-3; Riley Benedetti (EV) 2-4; Chase Oldham (EV) 3-4, HR, 4 RBI; Ty Hoffert (EV) 2-3; Evan Fischer (EV) 3-4, 2b, 2 RBI. YAKIMA, Wash. -- Scanning through the CWAC all-league baseball team one thing stands out: Youth. Especially if you’re from East Valley, which nonetheless tied for second in league at 14-4 and host Ellensburg in a district semifinal on Saturday. The Red Devils have a solid senior anchor in co-MVP Riley Benedetti, but four of their seven other all-league picks are sophomores. And one is a freshman. East Valley outfielder Chase Oldham is the first freshman to make the CWAC’s first team since the league changed from two divisions to one in 2007. There are a total of 12 all-league selections who are sophomores or freshmen — the most during this nine-year span. Last year there were five. East Valley’s Ben Albrecht, a second-team freshman last year, join Ellensburg’s Xander Orejudos and Selah’s Dac Archer as first-team sophomores. All of these youngsters will be playing in the district semifinals on Saturday and again Tuesday in either the championship game or a loser-out contest. YAKIMA, Wash. — Todd Gibson clearly understood that his game plan for Saturday’s CWAC district semifinal matchup with East Valley was easier said than executed. His Ellensburg Bulldogs, after all, were going against Riley Benedetti, EV’s 6-foot-4, Washington State-bound ace and league co-MVP. It turned out that Ellensburg didn’t score many on a flawless afternoon at Loftus Field, but thanks to sophomore Xander Orejudos the Bulldogs scored enough. Riding Orejudos’ four-hitter with 10 strikeouts, no walks and one hit batsman, E-Burg advanced to the district title game with a 2-0 triumph. It will be Ellensburg (17-5) and senior left-hander Garrett Hull against league champion and top-ranked Selah (20-1), which presumably will send senior righty Kyle Dexter to the mound for the 5:30 p.m. Tuesday start at Carlon Park. East Valley (15-6) will host Othello (13-9) in a loser-out contest, also Tuesday. Orejudos, a standout second baseman and leadoff hitter as a freshman on last year’s state title team, was also the Bulldogs’ best offensive weapon on Saturday. He lined a first-pitch double to left field to start the game for the first of his three hits, took third on Alonso Bibiano’s fly to deep right, then scored on a wild pitch. It stayed 1-0 until the seventh, when Alex Ponchene doubled with one out and Bibiano scored him with a single to left-center. Orejudos, leading off, had sent the Red Devils’ left fielder against the wall in pursuit of his drive. To be sure, the younger Benedetti walked four and hit two — all during the first four innings. He finished with seven strikeouts, having yielded three singles and three doubles, and standing nine baserunners. Orejudos, however, allowed just four singles. And only one Red Devil reached third base — that coming in the second when Tyler Gutierrez singled and advanced on an error and wild pitch, respectively. In an April 25 doubleheader at Ellensburg, the Vikings recorded a 10-2, 13-5 sweep. Hull, however, didn’t play due to a foot ailment. Prior to Saturday’s 6-0 defeat of Othello, Selah had scored 10 or more runs in its last 10 games. Orejudos and Bibiano; Benedetti and Hagler. Highlights: Xander Orejudos (Ell) 10 Ks, 0 BB, 1 HBP, 3-4, 2b, run; Alex Ponchene (Ell) 2b, run; Alonso Bibiano (Ell) 2-4, 2b, RBI; Chase Oldham (EV) 1-3; Tyler Gutierrez (EV) 1-3; Nektarios Hagler (EV) 1-3. EAST VALLEY 11, OTHELLO 0: At East Valley, Lucas Juarez threw a four-hit shutout and Riley Benedetti homered and drove in four runs to lead the Red Devils in the loser-out game. Benedetti was 3 for 3 with a double and clubbed a two-run homer in the third inning. Juarez fanned five. 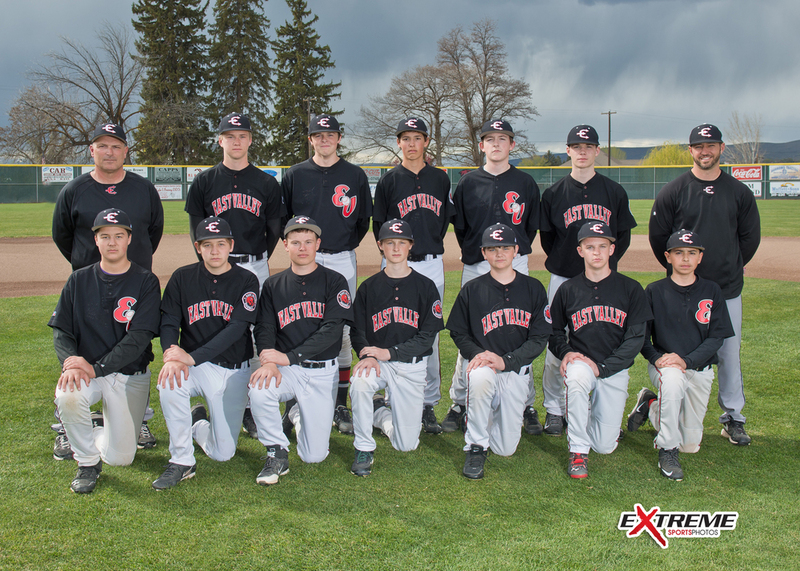 East Valley (16-6) will play a winner-to-state, loser-out game on Saturday at West Valley of Spokane, the Great Northern district champion. Montemayor, Fuentes (3), Martinez (4) and Carreno; Juarez and Hagler. Highlights: Lucas Juarez (EV) CG, 5 K, 2-3, RBI; Riley Benedetti (EV) 3-3, 2b, HR, 4 RBI; Ben Albrecht (EV) 2-3, RBI; D’Andre Garcia-Stubbs (EV) 2-2. SPOKANE, Wash. — Riley Benedetti pitched a three-hit shutout and the offense collected 10 hits as East Valley earned a state berth with a 2-0 victory over West Valley of Spokane in a CWAC-GNL crossover baseball game on Saturday. With their second straight shutout in a loser-out game, the Red Devils improved to 17-6 and will join Selah for first-round state games at Davis High School next Saturday. East Valley will play Sammamish, the District 2-3 No. 5 entry, at 10 a.m. and Selah will face Franklin Pierce, the District 2-3 No. 6 team, at 1 p.m. The winners will play a state quarterfinal game at 4 p.m.
Benedetti walked two and struck out 11 to push his season record to 6-2. Freshman Chase Oldham sparked the offense, going 3 for 3 with an RBI single in the fourth inning that put EV up 1-0. Ben Albrecht’s RBI in the seventh made it 2-0. Benedetti and Hagler; Lee, Steen (7) and Flett. Highlights: Riley Benedetti (EV) CG, 11 K, 2 BB; Chase Oldham (EV) 3-3, RBI; D’Andre Garcia-Stubbs (EV) 2-3, 2b; Ty Hoffert (EV) 2-3; Ben Albrecht (EV) RBI. YAKIMA, Wash. -- For Selah and East Valley, Davis Field has been a home away from home for the two CWAC baseball rivals. And on Saturday it will once again be their venue of reckoning. For the ninth straight year, Davis will host a trio of Class 2A state games — two first-round clashes followed by a quarterfinal. Selah has been there for all but one year, and East Valley is making its fifth visit to the ball yard at So. 5th Ave. and Tieton Dr.
Should they win their openers and meet in the quarterfinal, which will likely go off around 4 o’clock, Selah and East Valley have an enticing history this season that suggests an exciting rematch. In their league doubleheader at Carlon Park on April 4, East Valley won the opener 6-4 in a duel of aces — league co-MVP Riley Benedetti vs. Kyle Dexter in Selah’s only loss of the season. The top-ranked Vikings forced a split in the nightcap, winning 5-4 with starters Connor Davis and Lucas Juarez battling to a draw and Selah’s Clark Streby coming on for the win. They did not meet in the district tournament. To get Round 3, Saturday’s first-round draw looks favorable for the locals. Very favorable. East Valley’s 10 a.m. opponent, believe it or not, went 1-19 in the regular season. Sammamish is a 2A team playing in the Kingco 3A and the Totems didn’t win a league game. Samammish and Liberty, also from the Kingco 3A, received berths in the 16-team District 2-3 tournament and both qualified for state. 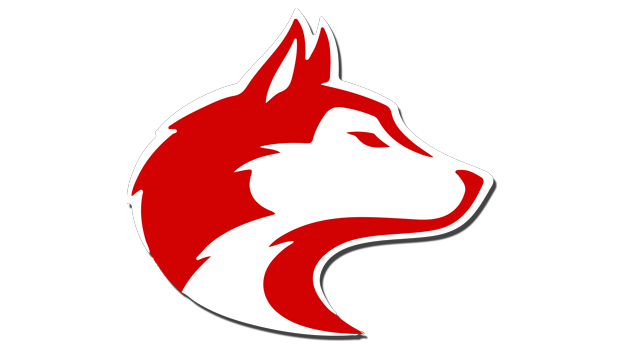 Sammamish (5-20) earned three of its wins this season during two days in the district tournament, defeating North Mason and River Ridge in loser-out games and then beating Franklin Pierce 14-6 in the final for fifth and sixth. Franklin Pierce (13-10) is the team that top-ranked Selah drew for its 1 p.m. state opener. Saturday’s quarterfinal is scheduled to start 45 minutes after the conclusion of the Selah-Franklin Pierce game. Selah is 2-2 in quarterfinal games at Davis since 2007 and East Valley is 2-0. The Yakima area earned a ton of recognition in the latest round of WIAA athletes of the week. Those included were West Valley junior Kassy Cruz (4A girls, softball), East Valley senior Riley Benedetti (2A boys, baseball), Ellensburg senior Alexia Rodriguez (2A girls, track) and Granger junior Sierra Heitzman (1A girls, tennis). YAKIMA, Wash. -- Kyle Dexter stood in the third-base dugout Saturday, staring in apparent disbelief at his cell phone. As the Selah senior spoke with his back to the Davis Field playing surface, rain fell in sheets and thunder rumbled in the distance. The Vikings’ Class 2A state quarterfinal matchup with East Valley, halted at the end of the second inning by the storm, was delayed 2 hours and one minute. When play resumed, however, Dexter gave Selah a better-than-average chance at victory, pitching Selah to a tense 1-0 triumph and a berth in the final four Friday and Saturday at Yakima County Stadium. The top-ranked Vikings, who whipped Franklin Pierce 10-2 in a first-round game earlier Saturday, will take a 15-game winning streak and a 23-1 record into a 4 p.m. Friday semifinal against unranked Squalicum of Bellingham (20-6). For East Valley, which began the day by riding Riley Benedetti’s two-hitter to a 1-0 first-round conquest of Sammamish, the loss was bitter. Not only did the Red Devils’ season end at 18-7, it did so despite a superlative performance by sophomore Lucas Juarez. The right-hander allowed just two singles, striking out four and walking two, but was undone by a pair of fourth-inning errors that led to the game’s only run. And unfortunately for the Red Devils it came against Dexter, who seemed bent on getting his team to its first final four since 2010. Ironically, the only loss either Dexter or the Viks had suffered all year came against East Valley. They fell 6-4 in the first game of an April 4 doubleheader at Carlon Park. This time a classic pitcher’s duel materialized — the game took only 1 hour and 30 minutes to play — with the difference being two errors that followed Clark Streby’s one-out single in the fourth. The first was an errant pickoff throw that allowed Streby to reach third base, and with two outs another miscue enabled him to score. Dexter finished with one walk, a hit batsman and six strikeouts — including the game’s final two hitters with the tying run on second. The Vikings’ state opener had no such drama, with Selah banging out 10 hits and cashing in on six Franklin Pierce errors. Davis acquitted himself nicely, scattering six hits while fanning seven, walking four and hitting two. He was staked to a 6-0 lead after two innings with four errors by the Cardinals (13-11) weighing heavily in a five-run second. Blake Reeves led the offense, going 2 for 3 with two runs scored and RBI singles in the second and sixth. Riley Benedetti, in his final pitching appearance of a stellar prep career, dominated Sammamish in Saturday’s opener. He struck out 12 and walked two while his teammates turned three double plays. The game’s only run came on Juarez’s fifth-inning sacrifice fly off Totems junior Nathan Aebi, who pitched a no-hitter against River Ridge to cap Sammamish’s district tournament run that netted a state berth after a 1-19 regular season in the Class 3A-2A KingCo Conference. Dexter and Petrea; Juarez and Hagler. Highlights: Kyle Dexter (S) 6 Ks, 1 BB, 1 HBP; Lucas Juarez (EV) 4 Ks, 2 BB, 0 ER; Clark Streby (S) 1-3, run; Dan Legg (S) 1-3; Chase Oldham (EV) 3-3; Ben Albrecht (EV) 1-2. Aebi and McCormick; Benedetti and Hagler. Highlights: Riley Benedetti (EV) 12 Ks, 2 BB; Juarez (EV) sac fly, RBI.